Memories are made of anything you desire and this cake holds so many of my happiest of memories close to my heart. It seems an eternity to have put this up on my blog, and now it is that perfect opportunity. This is what I chose for my first tv appearance: for good luck, to be close and share an integral part of my aunt Villie, to thank her for all that she has showered me with, guided and shared over the past decades. This is her cake, her life, her creation that she has been generously and affectionately given to me. So continuing her legacy with eternal love and gratitude. I hope that many of you will love it, appreciate it, enjoy it and create your own special memories to share with your loved ones. 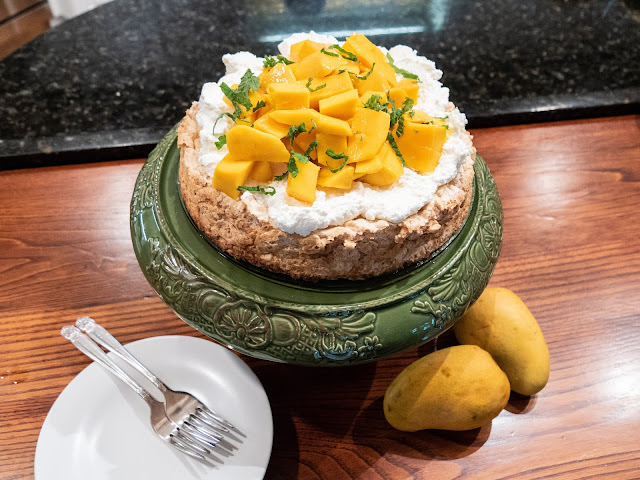 My gorgeous Aunt Villies delectable Macroon Torte with fresh Mangoes and whipped cream recreated for my TV appearance on Out and In with The Cook's Cook. in to the center well. A touch of fresh mint adds colour to finish it off. Makes a 9 inch/ 23 cm round cake. In a food processor using the pulse button roughly crush the almonds. Add the cream cracker biscuits and repeat using the pulse button until both are crushed. 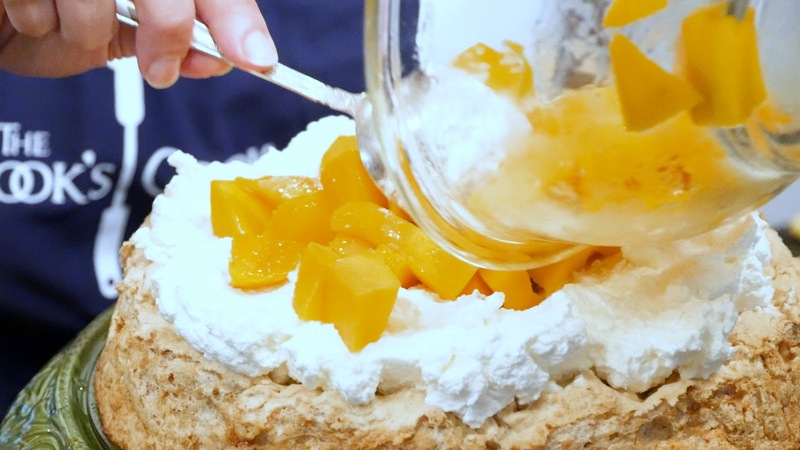 Do not turn it into a powder but leave it slightly grainy to help give the cake a crunch. 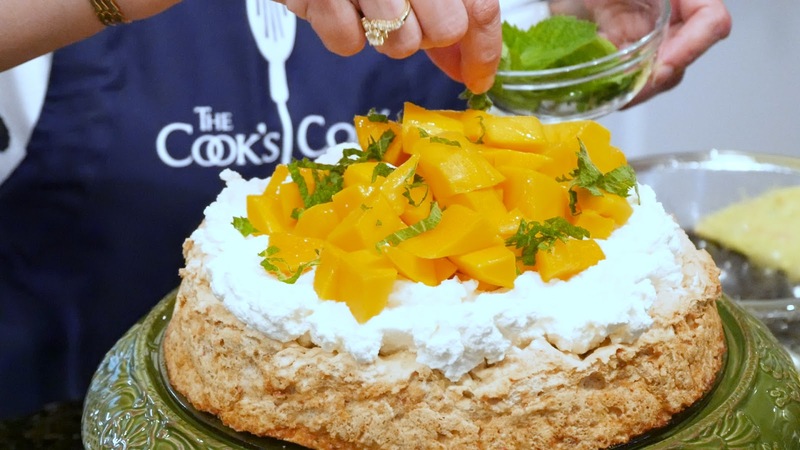 With an electric beater whip the egg whites and the baking powder until soft peaks start to form, add the vanilla. In a gentle stream add the sugar. Fold in the crumbled biscuit and almond mixture using a metal spoon or a silicone spatula. Over turn into a prepared, 9 inch/ 23 cm spring form pan. Bake in a preheated oven of 350 F or 175 C for 25 minutes. 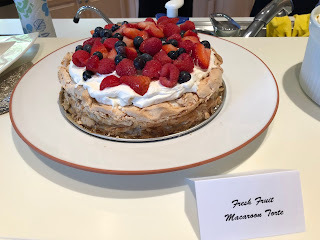 Whip the cream to stiff peaks, add the sugar. Spoon the cream over the cake, leaving a small well in the center to help hold the mangoes and its juices within the cake. Optionally decorate it with fresh mint. You may need an additional 5 minutes to the baking, depending on your oven. It should look slightly pink tinge when done and dry to the touch. Do not turn it into a powder but leave it slightly grainy to help give the cake a crunch. If the mangoes are not sweet naturally, add the juice of half a lime and a tablespoon of sugar. A dash of salt also helps to enhance the flavours and bring the fruit to life. 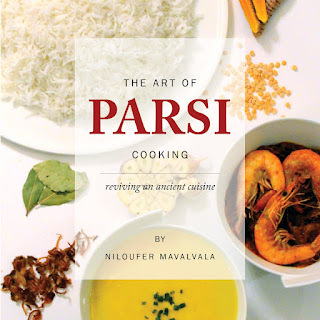 For more Parsi Food recipes click on The Art of Parsi Cooking; reviving an ancient cuisine. Tried your Fresh Fruit Torte, which was an instant hit and enjoyed by all. I was at this place last week. This is such a joy as an event space NYC for food! I had a beautiful time here. It reminded me of another center in the city. A beautiful, wonderful place that had excellent atmosphere.